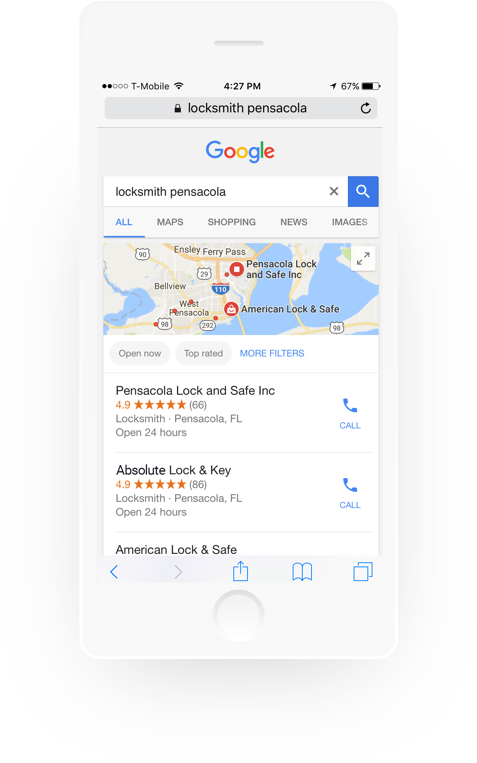 Known for their quality service and high-touch customer care, Absolute Lock & Key was seeking a way to market this reputation to the greater area of Pensacola, FL. 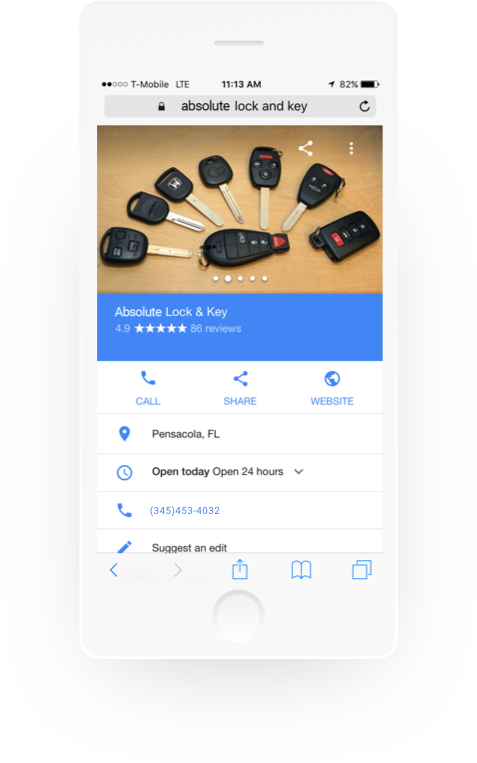 Specializing in automotive, residential and commercial locksmith services to an already steady customer base they needed a way to grow and unlock new customers. Their website was antiquated and not compliant with the way search engines work and did not appear on Google at all. This worked against their primary goal of gaining more business. That’s where Advertising IQ came in. Absolute prides itself on not being second best and required an equally professional and hard working team to get them on the map. With virtually no online visibility, not only did we get them on the digital map via successful rankings on the major search engines, Google also badged them as a Verified Local Business. Listing on both Google and Yelp they are holding 4.9 star rating! With a newly rebuilt website and implemented keyword strategy, Absolute was fully optimized for the way in which customers look for services online. 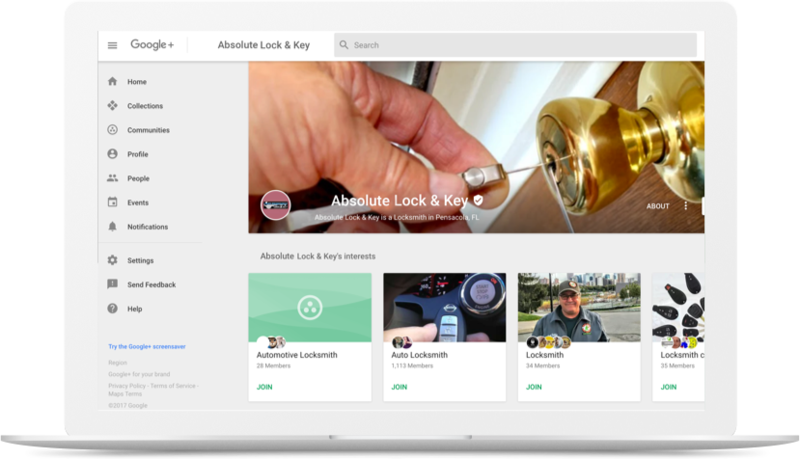 Now when a customer searches for “locksmith”, “key replacement” or other common terms, Absolute ranks in the top 10 results. These efforts, along with appearing in other local directories gave customers an easy and instant way to connect with Abercrombie leading to over 3,000 calls - resulting in 2,214 new leads. In less than 6 months Absolute reported that we unlocked the additional growth they were looking for so much that they were able to pursue their first home. While our job is never done, we were happy to have been a part of that success. Create An Optimized Web Presence.